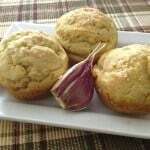 Folks new to the gluten-free diet often assume cornbread is gluten-free, but most recipes use wheat flour along with cornmeal in the batter. 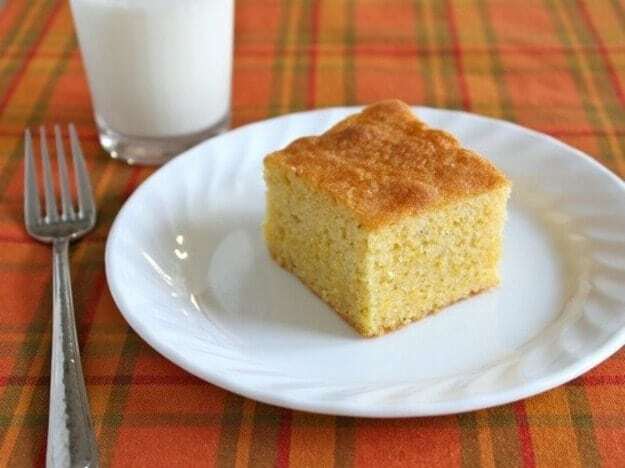 In this cornbread, brown rice flour and ground almond flour replace the wheat flour, providing a moist, cake-like texture that still has the crunchy mouthfeel you expect from cornbread. 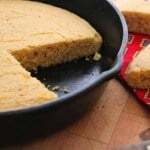 The recipe, inspired by a reader’s request for a gluten-free version of her favorite cornbread, falls on the sweet, rich end of the spectrum. It’s not a cornbread you’d serve with chili. In fact, it reminds me of the Italian cornmeal cake my grandmother made during the summer and served with a warm berry compote for dessert. To make the cornbread, cream the butter until it’s light—almost white— before adding the eggs. This step helps lighten the batter and leavens the cake during baking, giving the cake a moist crumb that’s not too dense. Preheat oven to 350 °F. Grease 8x8x2-inch pan with non-stick cooking spray. Set aside. 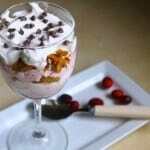 In small bowl, whisk together brown rice flour, almond flour, cornmeal, sweet rice flour, baking powder, and xanthan gum. 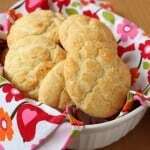 In bowl of stand mixer fitted with paddle attachment, combine butter and granulated sugar. Cream, on medium-high speed, until butter is light and almost white, about two minutes. Add eggs, one at time, scraping down the bowl between each addition. Allow butter-sugar mixture to fully incorporate each egg before adding the next. Add whisked dry ingredients and maple syrup. Mix until thick batter forms. Spread batter evenly into prepared pan. Bake until cornbread is golden brown and set. Cake tester inserted into the center of the cake should come out clean, about 40 minutes. Remove pan from oven and place on wire rack to cool. Store cornbread on counter, covered with plastic wrap, for up to three days.